Now everyone of you'll say what the hell makes me say that...am I right...??? Saw that in a news for the first time - the father and toddler were on Skype. 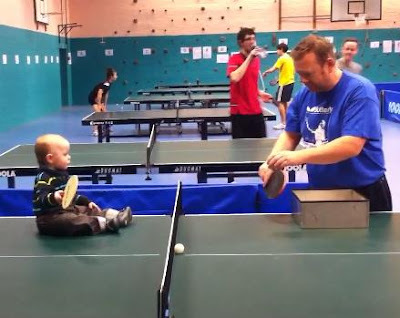 The father had the patience to take the little one to practice 3 times a week for whole one year! Wow...that sounds terrific to see a kid so little playing his shots confidently. I am sure he would definitely beat a Chinese some day and become a wold champ in TT.